The Raitts crop everywhere! 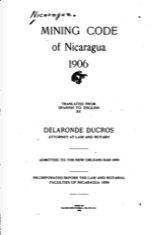 I had come across an anguished post dated November 1999 on several website name forums from Dolores (Raitt) Rench who said her father’s name was Dewitt Raitt who had been working on the construction of the Pan American Highway in Nicaragua and could anyone tell her any more. I e-mailed her, but her address had presumably long since disappeared and I didn't come across her elsewhere. I subsequently discovered that Dewitt has married a local girl, Mercedes Cuadra, in Managua in 1944 and then promptly returned to the United States leaving behind a pregnant wife. This particular tale is to be found on the Mississippi Raitts page. However, what prompted a further look into this branch of Raitts was a note I received from Scarlett Raitt in Managua asking for help trying to find her origins. I thought that possibly she was also linked to Dewitt Raitt, but this has turned out not to be the case. But for a family in Nicaragua over one hundred years ago to have the surname Raitt, albeit with Spanish forenames, surely meant that there had to be some earlier Scottish connection! I also subsequently discovered several Raittes. 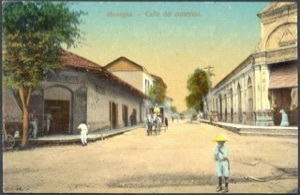 There are a few Nicaraguan records online - for Managua, but not everything is available, but this is what I have so far managed to piece together. 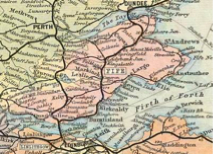 In the 1841 census for Marytown Village, Forgan, Fife there is Elizabeth Gibb, 30, born Scotland (presumably outside Fife); and children: Margaret Raitt, 4; and William Raitt, 2 - both born Fife. In the 1851 census for Tay Cottage, Forgan, there is Elizabeth Rait, head, widow, 42, laundress, born Meigle, Perthshire; and children Margaret, 13, farm lab; William, 11, scholar; David, 9, scholar; and Elizabeth, 7, scholar - all born Forgan. In the 1861 census for Brae Head, Benholm, Kincardineshire, William Raitt, 21, Free Church schoolmaster, born Forgan, Fife, is a lodger. In the 1871 census for Highbury Cottage, Nairn we find William Raitt, 31, school teacher, born Forgan, Fife; wife Grace, 31, teacher of needlework, born Kirkmichael, Perthshire; children: William, 8, scholar, born Renfrew, Renfrewshire; Elizabeth, 6, scholar, born Renfrew; Alexander, 4, scholar; Oswald, 0, born Nairn. Also in the household is Jessie McGregor, sister-in-law, 20, lady’s maid, born Logierait, Perthshire. In the 1881 census for Muir of Blair Beecroft, Blairgowrie, Perthshire we find that William has given up teaching to become a strawberry grower (4 acres) - he was 41, now a widower. With him are children Alexander S., 14, scholar, born Renfrew; Oswald, 10, scholar, born Nairn; Rudolph, 8, scholar, born Nairn; David, 8, scholar, born Nairn; and Robert McGregor, 7, scholar, born Liff & Benvie, Angus. Also the the household is Margaret Monair, sister, widow, 43, housekeeper, born Forgan; and her two sons William, 11, and David, 10, - both scholars, born Sligo, Perthshire (sic) - it should be Sligo, Ireland. In the 1891 census, living in Perth Road, Blairgowrie, Perthshire, we find that the head of the household seems now to be Margaret Monair, 54, housekeeper, born Fife (though it gives her relationship as wife, but does not give an marital condition); with her are her two sons, William K., 21, comb maker, born Ireland; and David G., 20, newspaper reporter, born Ireland; and her two nephews David, 18, ironmonger, born Nairn; and Robert, 17, born Angus. Their brother Rudolph, 18, apprentice engineer (fitter), born Nairn is a lodger nearby at Cowgate, Errol, Perthshire. We know that Oswald went to South Africa and then Nicaragua. It would appear that his brother Rudolph (born 29 January 1873 in Nairn) also emigrated. A Mr and Mrs R. Raitt departed Liverpool on 29 October 1898 bound for Calcutta, India aboard the City of Calcutta. I am assuming this is them because there were three children born to Rudolph Raitt and wife Catherine Ann in India - Ethel Evelyn, born 12 August 1899 and christened 17 December 1899 in Assam, Bengal; Grace Jeannette, born 6 December 19091 and christened 26 March 1902 in Sibsagar, Bengal; and Oswald Alexander, born 12 December 1903 and christened in Sibsagar on 10 January 1904. Oswald Alexander was presumably named for Rudolph’s brothers and is probably why Oswald returned the compliment later by naming one of his own sons Rudolph. Rudolph Snr served in the Army Service Corp during the First Word War - enlisting at the age of 40. And it was another brother of Oswald and Rudolph, Alexander Seaton, who was bound for Cape Town on 30 September 1897 on the Raglan Castle from London. The ship’s manifest lists an A. S. Raitt, aged 31, merchant. Alexander stayed on in South Africa it seems, fought in the Boer War like his brother Oswald, and subsequently became a trade unionist there. Some details about him will be found under Raitt Anecdotes. William Raitt and Elizabeth Gibb were married in Forgan, Fife on 2 February 1833. 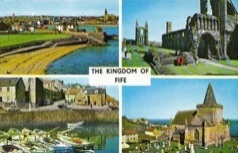 Their daughter Margaret was born on 9 March 1837 and christened on 23 March 1837 in Forgan, Fife. Son David Gibb Raitt was born on 25 December 1841 and christened on 10 January 1842 in Forgan, Fife. Daughter Elizabeth, was born on 25 July 1843 and christened on 6 August the same year in Forgan; and son William was born on 26 June 1839 and christened on 16 July. According to his namesake son’s death extract, William the father was a seaman. In the 1841 census for Marytown Village, Forgan, Fife there is Elizabeth Gibb, 30, born Scotland (presumably outside Fife); and children: Margaret Raitt, 4; and William Raitt, 2 - both born Fife. Husband William was likely away at sea on the night of the census. He presumably died between 1843-1851 - between 1845-1851 if he is the William Raitt mentioned below. In the 1861 census for King Street, Forgan, there is Betsy Raitt, widow, 54, born Meigle; and daughter Elizabeth, 17, born Newport, Fife. And at Murraygate Dyers Close, Dundee, we find David Raitt, 19, born Forgan as a boarder in the large household of David Gibb, 51, ship carpenter, born Meigle, Perthshire. This will be surely the brother of Elizabeth Gibb. In the absence of census information for William, Elizabeth Gibb’s husband, his date and place of birth is unknown; however, since his wife was born around 1811 and they married in 1833, then one can assume he was born about the same date. There are several possibilities, but I thought initially he may very well be the one born 22 July 1810 in Ferry Port on Craig, Fife to David Raitt and Margaret Sykes (supposition based on location and parental names carried down.) However, I have just found a William Raitt, born on 1 August 1805 born at Newport, Fife who was a seaman. His Register Ticket was 74844 and he was ticketed at age 40 in the capacity of Mate, having first gone to sea as Apprentice in 1825. He was 5ft 10in tall, had a swarthy complexion, dark brown hair and grey eyes. He had not served in the Royal Navy nor been in Foreign Service. The parish of Forgan and Newport are just across the River Tay from Dundee, Angus - so William Raitt may well have been related to other sea-faring Raitts nearby. 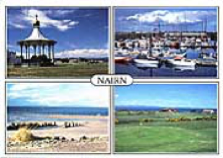 See Raitt Master Mariners, Arbroath Mariners and Other Raitt Mariners. As noted at the start of this page, Oswald Raitt was born to William Raitt and Grace McGregor on 25 February 1871 in Nairn, Nairnshire (the home of Sir Gervaise de Rait and his brother Andrew some six hundred years earlier!) William Raitt was the son of William Rait and Elizabeth Gibb and was born at Forgan, Fife on 26 June 1839 and christened on 16 July the same year. He died on 8 January 1889, aged 49, of heart failure at Beecroft, Blairgowrie, Perthshire - the informant was his son Alexander S. Raitt living in Errol. The death extract notes he was a retired schoolmaster and widower of Grace McGregor. It gives his parents as William Raitt, seaman, deceased; and Betsy Raitt (maiden name Gibb), also deceased. 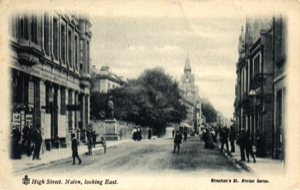 William Raitt had married Grace McGregor in Dundee, Angus on 27 December 1869 and the couple must have left for Nairn shortly afterwards. 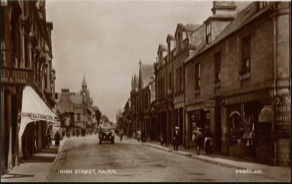 The marriage extract reveals that William was a school teacher, aged 30, with a usual place of residence in Nairn. 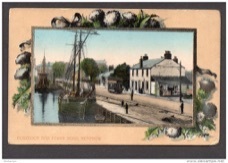 Grace was also 30 with a usual residence of Helensburgh. How the couple met when they lived at opposite ends of Scotland and why they married in Dundee is not known. The extract names William’s parents as William Raitt, seaman, deceased, and Elizabeth Gibb, also deceased. The extract also reveals that William was the widower of Helen Seaton. Thus when William married Grace he had three small children in tow: William, born 23 March 1863; Elizabeth, born 18 December 1864; and Alexander Seaton, born 4 January 1867 - all in Renfrew. William Raitt married Ellen (Helen) Seaton on 24 April 1862 in Dunbarney, Perth. He was a teacher aged 22, with a usual residence in Renfrew and she was 21 and from Dunbarney. Helen died in 1867 in Renfrew, aged 25, probably as a result of childbirth complications. William had a further four children with Grace MacGregor: Oswald, born 25 January 1871; twins David and Rudolph, born 29 January 1873 - all born in Nairn; and Robert Macgregor Raitt, born 4 April 1874 in Liff, Benvie and Invergowrie, Angus. Unlike their two sisters who eventually moved to California, nothing has yet been found out about the other children of Oswald and Otilia (except Lilly). Whether they remained in Nicaragua, went to the United States or even the UK (since they had British nationality) is not known. However, recent information suggests that Willy (presumably the Oswald W. above) died very young in Belize, where they had returned for a few years, after being bitten by a rabid dog. There were and are still Raitts in Managua and since no other person that Oswald Raitt Snr seems to have been in the region, so far as is known, then what follows is thus an educated guess, based on dates and names. I am endeavouring to discover the relationships between these individuals. Apart from the known children of Oswald, there is also someone called Ismael Raitt. Ismael Raitt and his wife Jacinta Rivas or Rivera had a daughter called Celia born 13 January 1930 in Managua (or at least registered there). In her birth record her father is given as Ismael Raytt and her mother as Jacinta Rivera. She next appears as Leoncia Celia del Carmen Raitt Rivera (with another similar record giving the same parents (Ismael is now spelled Raitt, but the mother’s name is Rivas), born 1930 in Managua, marrying Diego Manuel Guerra Chamoro (born 1918) in Managua on 29 May 1954. She got married again on 24 Sep 1965 to Calixto Pompilio Alavarado Moraga (born 1933) in Managua. Ismael and Jacinta also had a daughter named Margarita Raitt Rivera, born 1937 Managua, who married Jose Antonio Meneses Zamora (born 1945) on 22 May 1975 in Managua. They also had a son called Aldo Alberto Rivera Raitt - who died on 9 March 2010 in Managua. Now, to have a (first?) child (Celia) born in 1930 would mean that Ismael Raitt would presumably have had to have been born around 1905-1910. Thus he cannot be the son of any of Oswald’s sons since they were all born between 1911-1920. The possibility arises, therefore, that perhaps Ismael was an early child of Oswald with a local woman (even Otilia) after he arrived in Matagalpa in 1903 and before he married Otilia around 1911. His birth does not seem to have been registered at the British Consul in Managua. Aldo Alberto Rivero Raitt married Paula Escorcia and had a daughter called Maritza del Carmen Raitt, born 1958 in Managua and who died in Managua on 17 June 1958. They had another daughter named Vilma and a son was named Carlos Alberto Raitt, born 11 March 1961 in Managua. He married Ninoska del Socorro Mendoza Martinez (born 1964) in Managua on 25 December 1987. Carlos notes that his family stems from farmers who grow coffee in the Department of Matagalpa. Carlos and Ninoska had a son Carlos, born 23 September 1988, a daughter Scarletta born 2 April 1994 in Managua. Carlos also had another son named Alberto Raitt Mendoza. Carlos Alberto has a sister named Vilma Raitt and a niece named Auxiliadora Raitt. The latter has a sister called Cristina and besides Scarlett her cousins include Johnathan Raitt, Oliveira Raitt and Meyling Massiel Ruiz Raitt. Then there is Yadira Morales Raitt, born 1953 in Managua who married Juan Ramon Uriarte Manzanares (born 1947) in Managua on 11 January 1977. She was probably a daughter of Elisa Raitt. Presumably the next four are all siblings - probably descendants of one of Oswald Raitt’s children. Noel Francisco Alvarado Raitt, born 1957 in Managua married Nubia Argrntina Medrano Jiron (born 1955) in Managua on 27 October 1979. Justo Sergio Alvarado Raitt, born 1959 in Managua married Angela Gladys Suarez (born 1962) in Managua on 13 March 1979. Nelly del Carmen Alvarado Raitt, born 1960 in Managua married Otoniel Barrera Pena (born 1957) in Managua on 27 October 1992. Ismael Javier Alvarado Raitt, born 1963 in Managua married Maria Esther Vallejos Galeano (born 1972) in Managua on 29 April 1989. Next is Martha del Rosario Raitt, born 1964 in Managua who married Reynaldo Roger Tellez (born 1966) in Managua on 8 July 1993. There is also an Ismael Antonio Meneses Raitt from Managua who currently lives in Montreal, Canada. 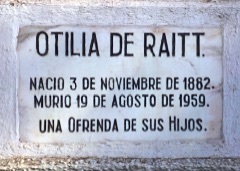 His uncle was Alberto Raitt and his grandfather was Ismael Raitt - both deceased. We also have some Raittes. Nora Marlene Rodriguez Raitte, born 1963 in Managua married Lonnie Culver Pennington (born 1936) in Managua on 22 Nov 1993. Norma del Socorro Chavarria Raitte, born 1970 in Managua, married Pablo Antonio Rodrigues Moreno (born 1969) in Managua on 3 Jun 1989. Lilliam Raitte Tinoco and Eduardo Ramon Zeledon (parents) had a daughter called Maritza Zeledon Raitte, born 1977 in Managua who married Jose Jesus Amador Reyes (born 1961) in Managua on 30 May 1991. And a miner, aged 25, named I. Rait, with American nationality, arrived in New York on 24 February 1854 from San Juan del Norte, Nicaragua aboard the Northern Light. According to the Civil Registration of her marriage in Managua, Nicaragua on 19 August 1935 to Harry Marenco Alfaro, Grace was born on 19 March 1915 in Matagalpa. 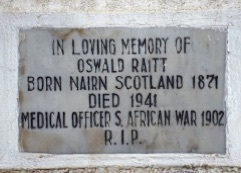 The record from the British Consulate in Matagalpa names her father as Oswald raitt, medical practitioner, and her mother as Otilia Raitt, formerly Pineda. Harry was born on 5 May 1914. The couple had five children: Lili Maria Josefina, born in Managua on 7 August 1936; Grace C., born about 1943; Luz Argentina, born 22 January 1950 in San Francisco; Miriam; and Carlos. At what date exactly Harry and Grace went to America is not yet known, though Harry applied for naturalization in California on 15 October 1947. Grace died about 1986. Harry and Grace’s daughter Grace, aged 20, married Aristide A. Orue, aged 27, on 3 August 1963 in Los Angeles. Aristides J. Orue, arrived from Managua, Nicaragua in Los Angeles with Pan American World Airways on 14 February 1957. The record states that Jean Aristides Orue, born in Matagalpa, Nicaragua on 25 December 1935 arrived at Brownsville, Texas on flight Pan American 516 on 11 July 1958 intending to go to Los Angeles. He died on 15 April 2010 in Temple City, Los Angeles. The Certificate of Registry of Marriage for Pearl Margaret Wilburn dated 9 January 1954 names her father as Oswald Raitt, born Scotland and her mother as Otilia Pineda, born Nicaragua. Pearl Margaret was aged 29 at the time of this marriage and was living at 395 Mission Road, Glendale, Los Angeles - she had been born as Pearl Margaret Raitt in British Honduras, was divorced and this was her second marriage. She was marrying Wallace Leigh Donley, aged 31, who was also living in Los Angeles. He had never been married. His parents were David Donley, born Scotland and Edith Maxwell, born Northern Ireland. Wallace was born on 5 May 1922 in Scotland and emigrated to Detroit, Michigan with his mother at the age of two. He died on 20 February 2007 in Sacramento, California. Pearl Margaret Wilburn, née Raitt, aged 26, and a housewife, is recorded as arriving from Mexico to Nogales, Arizona on 13 September 1950. Her birth date was 13 June 1924 and birth location was Belize, British Honduras, and her race/nationality was Scottish. She was 5ft 7in, weighed 140 lbs, with fair complexion, blonde hair and blue eyes. Her arrival contact was her husband Samuel A Wilburn. In a further record it stated that she had legally entered the United States on 28 January 1949 on the airplane for permanent residence in Seattle, Washington. Her nationality was British and her residence was Tucson, Arizona. She applied for naturalization in California for which the certificate was issued on 7 November 1952 in Los Angeles. Pearl died on 24 May 2010 in Clovis, California and is buried in Clovis Cemetery together with her husband Wallace. It would seem that Lilly Raitt Pineda married Alejando Castalleda Fajardo (who died in 1997) and the couple had five children. It would seem that the Hilda Fajardo Raitt mentioned above is their daughter, and the two public notaries in Managua named Roberto Fajardo Raitt (aged over 70) and Jose Alejandro Fajardo Raitt are their sons. British Consulates keep records, with indexes, of British nationals, born, marrying and dying overseas. 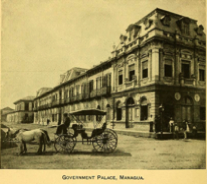 The British Consular index for 1911-1915, gives Oswald Raitt as marrying Otilia Pineda in Managua. According to a plaque in her memory in Nicaragua she was born 3 November 1882 and died 19 August 1959. She was apparently from a wealthy family, and reputedly one of the most beautiful women in the area. The British Consular birth indexes for 1911-1915 reveal that three children with the surname Raitt were born in Matagalpa during this period: Oswald W., Grace (see below), and Rudolph McG). The Consular indexes for 1916-1920 reveal a further three children with the surname Raitt also born in Matagalpa: Alexander, Lily del C. (see below), and Robert D. D. Robert died in 1916 at birth or very shortly thereafter. The indexes mention the volumes and pages where the full consular record will be found - although these are not online, they could be obtained. However, there is little doubt that they are the offspring of Oswald Raitt and Otilia Pineda. As further confirmation - Oswald W. would be named after his father, Grace could be named after Oswald’s mother (or sister), and other names such as Rudolph (surely Rudolph McGregor - Oswald’s mother’s maiden name), Alexander, and Robert were probably named after Oswald’s siblings. It would appear, though, that Oswald and Otilia had a seventh child, Pearl Margaret (see below), born on 13 June 1924 in British Honduras - presumably Oswald was working as a doctor there for a while. It looks as though the story may start with Oswald Raitt - an unusual name for a Raitt and one surely easy enough to find. 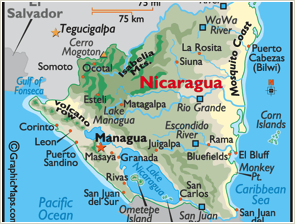 Since he died in Nicaragua around 1941 aged 70, he must have been born around 1871. 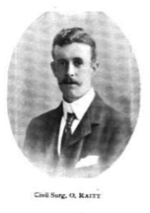 Indeed, it looks like the only relevant one is the Oswald Raitt born in Nairn, Nairnshire, Scotland on 25 February 1871 to William Raitt (see below) and Grace McGregor. He qualified as an M.B., Master Surgeon in 1896 at the University of Edinburgh and was registered on 26 October 1896. He became a military doctor and saw service as a Civil Surgeon from 1899-1902 in South Africa in the midst of the Second Boer War. He was entitled to the Queen’s South Africa Medal as well as the Cape Colony clasp and the date clasps for at least 1901 and 1902. In the 1903 Medical Register his address is given as Civil Surgeon, Field Force, South Africa - although he seems to have returned back to the UK in 1901, when he is recorded as arriving at Southampton on 29 September 1901 from Durban, South Africa aboard the Gascon. He was aged 29 and he was a British Subject from Scotland. In 1903, he was sent to Nicaragua by the British Crown, to help fight an epidemic, in collaboration with the Army of Nicaragua. In 1903 it appears that he was also sent to Belize to fight an epidemic of malaria. The 1911 Medical Register gives his address as La Leonesa Mines, Matagalpa, Nicaragua, Central America. 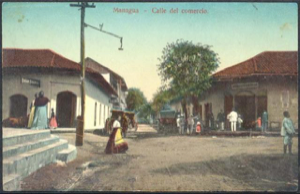 Matagalpa is the capital city of the Province of Matagalpa and was an Indian town found by the Spaniards when they were looking for the water passage to the “Northern Sea” (i.e. the Caribbean) in 1554. 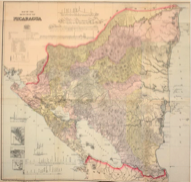 When gold was discovered in California in 1848, one of the easiest passages to California from the eastern USA apparently was through Nicaragua. Many gold prospectors passed by the isthmus, but some of them stayed there, and more than a few came to Matagalpa looking for gold mines in the region. Gold was discovered at the mines of Matagalpa in 1850 and the discovery attracted foreigners, many of whom remained there. An article entitled The Gold Rush in Matagalpa, 1850s mentions many names, among them Dr. Oswald Raitt - though it is unlikely he was a gold prospector! Another incomer apparently had the name Raitte - and a few people with this surname still live there. A little later, a German couple planted the first coffee trees in the area, and their produce soon found a good market in Germany and elsewhere. The coffee business attracted more than a further one hundred foreign immigrants - drawn partly there by the cooler climate that was more like Europe than the rest of the hotter parts of the country. It is believed that most of them married Matagalpan women and their descendants still live in the area. Matagalpa has been called the city of beautiful women and there are many poems and song lyrics attesting to that fact. The reason is no doubt the result of the melting pot of many races and nationalities that took place there on account of the gold and coffee. One such handsome woman was named Hilda Fajardo Raitt - probably the daughter of Lilly Raitt (see below).